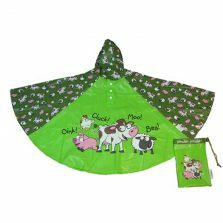 If green is your colour and you’re looking for a green umbrella then check out our selection of green umbrellas. 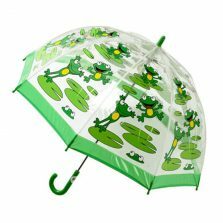 They’ll be green with envy when they see you with one of our super smart green umbrellas. 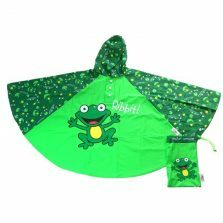 View basket “FROGS Childrens Rain Poncho” has been added to your basket. 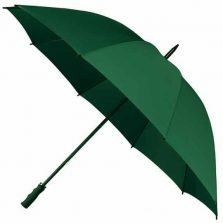 A green umbrella can be quite a traditional looking brolly. 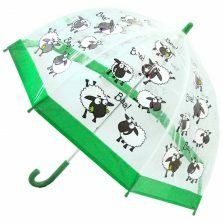 The kind of umbrella you'd take if you were going on a walk in the countryside. 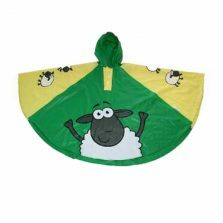 Or for a walk in the park. 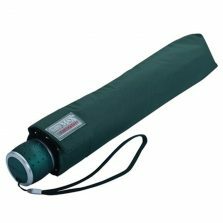 Our green shoulder strap umbrella, for example, is a particular favourite. Both men and women like the colour equally. It's a friendly kind of colour, don't you think? 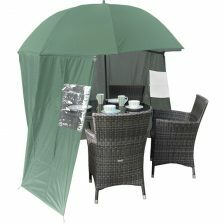 However, as Val Doonican once sang in "O'Rafferty's Motor Car", there are 40 shades of green! Olive green. 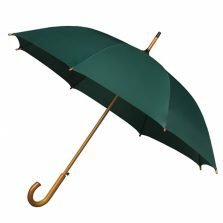 British racing green. Khaki. Emerald green. Lime green. 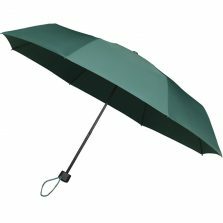 Whichever type of green umbrellas you're looking for, from small compacts to giant parasols you'll find that we've got you covered up here in Green Umbrella Heaven! 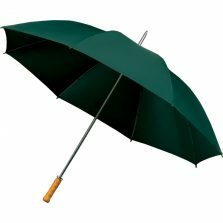 Are you looking for a manual or an automatic opening green umbrella? 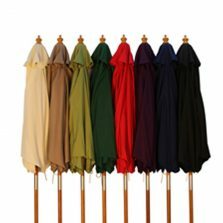 We have green umbrellas for men and also for ladies. 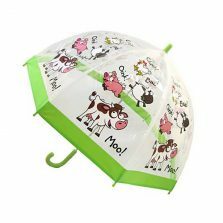 Perhaps you're looking for an environmentally friendly umbrella? 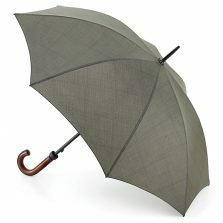 We've got those too - check out our Eco Windproof Golf Umbrellas! 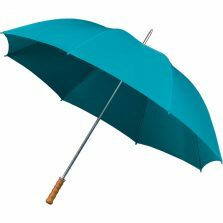 And also our Eco Vented Compact Umbrellas - made from recycled plastic. So, you're looking for a green umbrella but what do you know about the colour green? Well, here are a few things for you to consider. The colour green lies between blue and yellow on the visible spectrum. It's a colour that's also associated with the environmentally friendly movement. 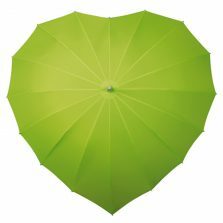 In many parts of the world green is the colour most commonly associated with nature, health, life, youth, spring and hope. In Asia it's regarded as a very positive colour, associated with fertility and happiness. But like buttons and traffic lights green also means GO! So go ahead and check out our wonderful selection of green umbrellas. Can't find exactly what you're looking for? Well, remember our friendly customer service team is here to help. Call us on 01525 382938 (+44 1525 382938 if calling from outside the UK). 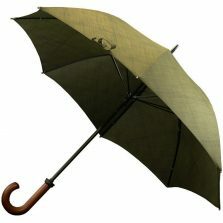 Or, alternatively drop us an email at info@umbrellaheaven.com. And if you proceed to buy, please leave a product review. Tell us about the product. And tell us about our service. We like to receive your feedback - both positive and negative. Though, of course we much prefer the positive! And finally a message to all you wonderful Irish customers of ours. 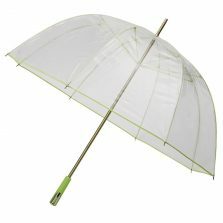 Don't buy all of our green umbrellas! Especially on St Patrick's Day. Leave some for other people.